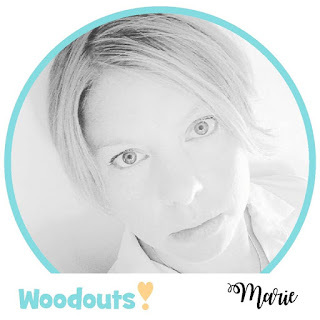 I´m really happy to show my first project as Woodouts Guest Designer today! 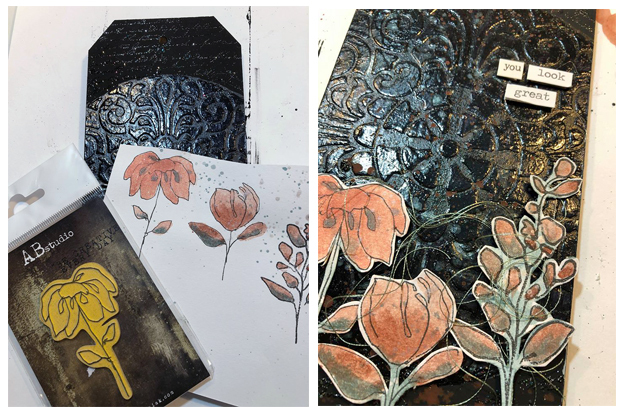 Woodouts is a new company that produces large MDF shapes that you can use as base for your Mixed Media projects. They are really good quality, sturdy and comes in a variety of shapes and sizes. For this project I used one of the tags - the largest one. I first painted the tag with black matte gesso. Then added modeling paste trough the beautiful stancil from AB Studio. 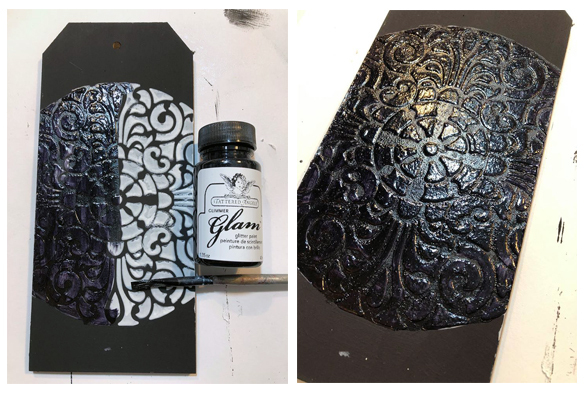 To give the pattern a shimmery metallic look I painted over it with Tattered Angels Glimmer Glam. 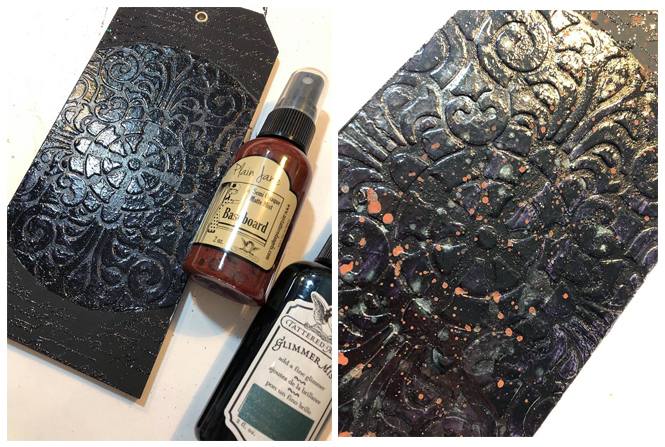 I also stamped & embossed a scripted pattern. I crated more interest with splatters of Tattered Angels Mists. As decorations I used stamped & painted image & a sweet sentiment. The tag was really fun to work with. It was fun to do a project with a lot of wet mediums that not bent by getting wet or dried with a heater. I will give this tag to one of my dear friends who owns a clothes shop. I really can see the tag hanging on the wall in one of the dressing rooms, can´t you? Are you curious about the products & where to buy them? 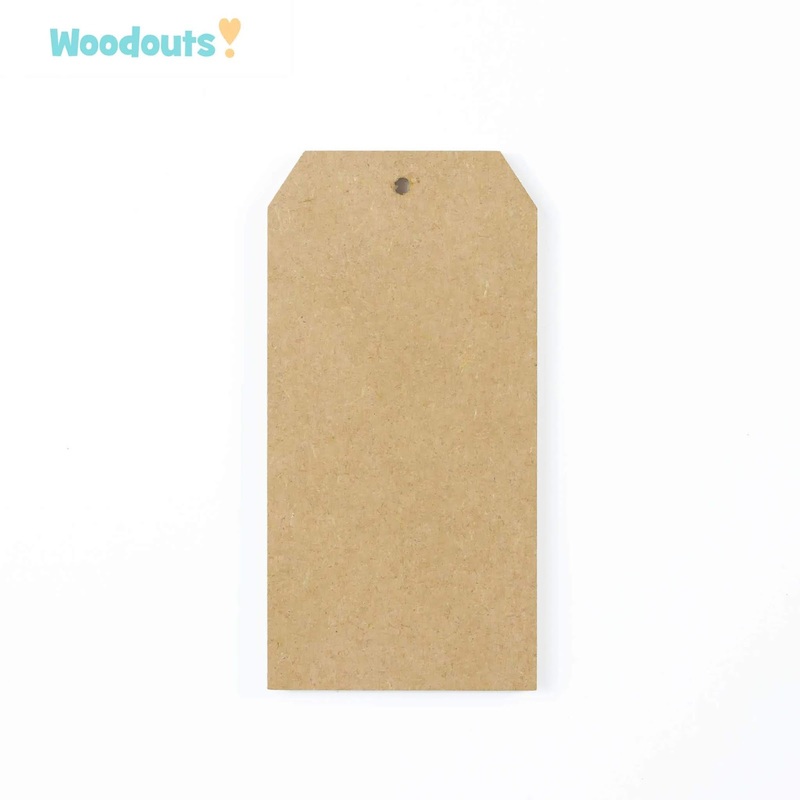 Then check out the Woodouts blog - there you can find all the information you need!